Notification of the intention to grant a patent will increase the commercial value of the évolis® brand beyond sales. Cellmid Limited (ASX:CDY) has been advised of the European Patent Office’s intention to grant a patent to protect technologies included in the évolis® hair therapy formulations. This patent titled ‘Method of treatment of Alopecia with Monoterpenoids’ provides protection in key European territories for hair therapy formulations comprising monoterpenoids. This class of small molecules is originally derived from botanical extracts. Imminent granting of this patent comes at a key time in the expansion of the company’s distribution in line with its growth strategy. It is expected to strengthen ongoing negotiations with potential retail and distribution partners in Europe and other jurisdictions. The method covered by the patent involves administering a topical formulation containing a monoterpenoid to inhibit the hair growth cycle regulatory protein fibroblast growth factor 5 (FGF5). Detailed scientific studies have shown that FGF5 activity in hair follicles is associated with disruption of the hair cycle, leading to withdrawal from the growth or anagen phase and entry into the regressive catagen phase, followed by follicle rest and hair loss. Rigorous testing of various monoterpenoid compounds by the Advangen Hair Gene Research Laboratory in Japan showed that several were potent inhibitors of FGF5, enabling hair follicles to maintain growth in the anagen phase. Halasz said granting of this patent in Europe was an important step for this patent family and was a promising sign for successful grant in other countries such as US, Japan and China. In these countries where significant additional markets for the company’s hair care products exist, the same patent is under examination. Topical application of formulations containing key botanical extracts and FGF5-inhibiting monoterpenoids is central to Advangen’s évolis® products against hair loss. 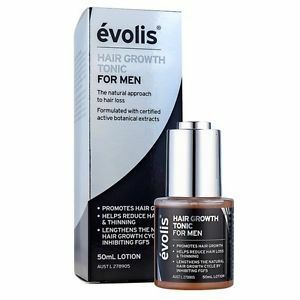 The évolis® products containing monoterpenoid compounds have been shown to reduce hair loss and increase the number of actively growing follicles in a blinded, placebo-controlled clinical study. These results were published in the journal Clinical, Cosmetic, and Investigational Dermatology (2017) 10: 71-85. The monoterpenoids-alopecia patents are held by Cellmid’s wholly-owned subsidiary, Advangen Limited.